This is going to be legendary. Be there or be square! We meet at VOID Club Berlin. 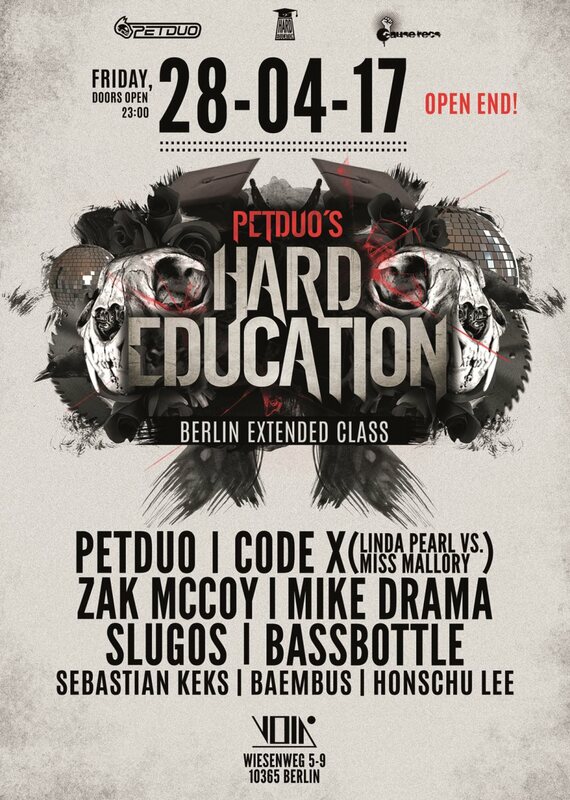 PETDuo’s Hard Education : The Class you want to take – finally will have a massive edition at its hometown : Berlin! Doors open : 11 pm – open end! A Class you want to take!